I love to study the book of Nehemiah. Jerusalem’s walls that had been in ruins since the Babylonian destruction (586 BC) were rebuilt (444 BC) in just 52 days! (Neh. 6:15). The people had a mind to work (4:6); they had a godly and capable leader in Nehemiah, and the good hand of God was upon them. But the remainder of the book (chapters 7ff.) is about the necessary follow-up; the necessary commitment to covenant faithfulness, without which the newly rebuilt walls would be meaningless. Gezer Calendar. One of the oldest examples of Hebrew script. Istanbul Archaeological Museum. Photo by Leon Mauldin. To that end Israel’s leaders/Levites promised God: “Now because of all this We are making an agreement in writing; And on the sealed document are the names of our leaders, our Levites and our priests” (Neh. 9:38). What follows is a listing of 84 names (Neh. 10:1-27). Nehemiah’s name appropriately is first. 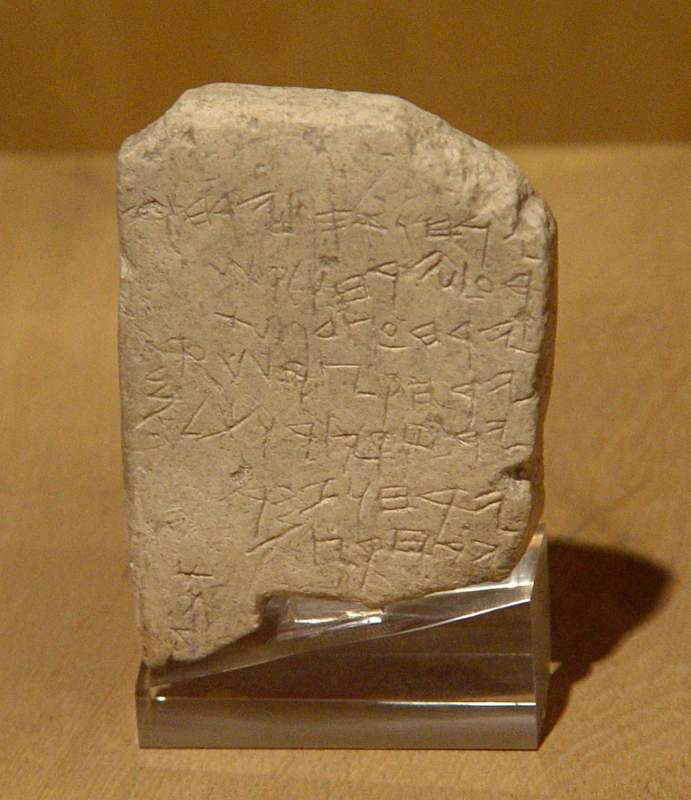 The Gezer Calendar is one of the oldest examples of Hebrew script. We share it here to illustrate our Nehemiah text. Those men who signed their renewed covenant with God, as well as “the rest of the people” (10:28), were pledging themselves to obey (v.29) in their homes (v.30), their business (v.31) and worship (v.32). In short: “We will not neglect the house of our God” (v.39). 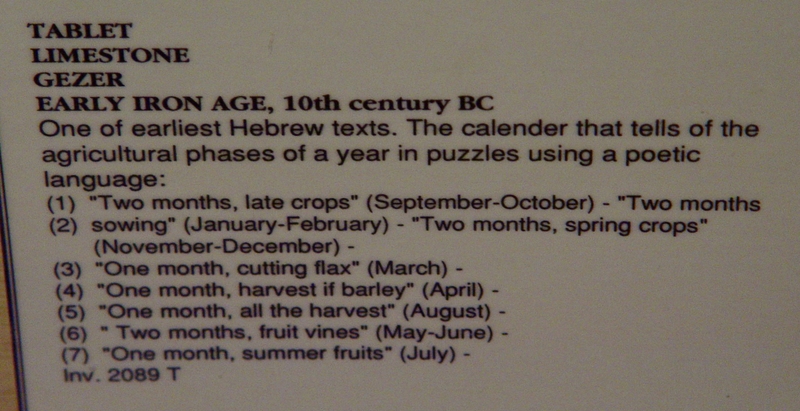 By the way, the Gezer Calendar in our photo is a school-boy’s exercise in learning the months of the year, associated with agricultural events. Explanation of the Gezer Calendar. Photo by Leon Mauldin.